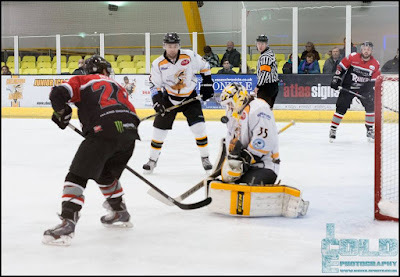 The final of the South 1 Cup will be contested between Chelmsford Chieftains and Streatham Redskins after those two teams won their respective semi-finals over the weekend. League leaders Chelmsford Chieftains beat Wightlink Raiders 7-1 over two legs, drawing 1-1 away on Saturday and then shutting them out 6-0 at home on Sunday. Streatham won 1-0 at home to Invicta Dynamos in the first leg and then won the second leg away 3-5 to go through 6-3 on aggregate. Those games also counted towards the South East Cup which has already been won by Chelmsford Chieftains who couldn’t be caught at the top of the round robin group. The final will be played over two legs over the weekend of 26th & 27th March – which team will be at home on which day has yet to be announced.